They were honored, along with the other 2018 quarterly contest winners, in a ceremony held April 5, 2019 at the Taglyan Complex in Los Angeles CA. All winners received trophies, and Golden Awards winners were presented with checks for $5,000. 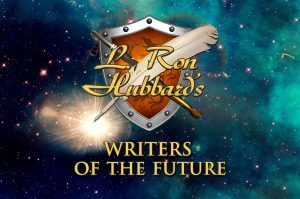 All the winning stories and artwork are published in Writers of the Future Volume 35.